Eden is back and bigger than ever. Boasting one of the biggest sound systems in Ibiza and a spectacular line up including Mark Knight, Prok & Fitch, Jason Bye, DJ Tom Crane, DJ Dermot C, Sam Dungate, DJ Grant Collins. 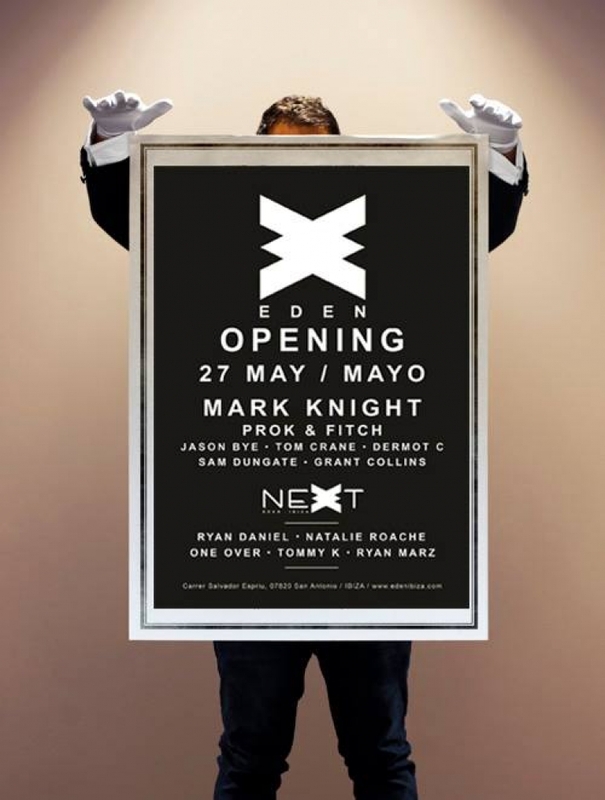 The return of the infamous Eden is set to send shockwaves across San Antonio with them bringing a series of great nights all with impressive line ups to match making Eden a force to be reckoned with this coming Summer.